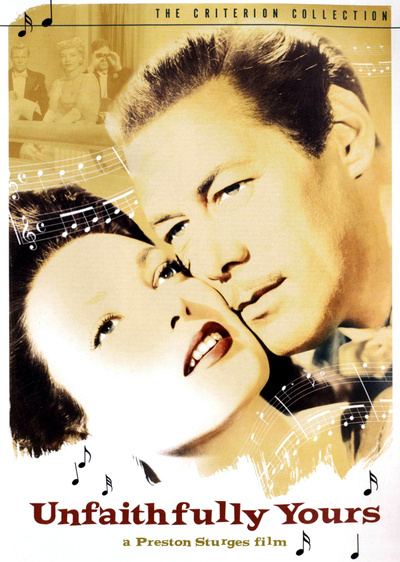 The splendid, fine farce is the tale of British, middle-aged symphony orchestra conductor Sir Alfred de Carter (Rex Harrison) who suspects his lovely younger wife Daphne (Linda Darnell) of infidelity. During a visit to England, his brother-in-law August Henshler (Rudy Vallee), due to a misunderstanding, had hired private investigator Detective Sweeney (Edgar Kennedy) to follow Sir Alfred's wife around in his absence. After reading the report upon his return, the jealous and self-assured Sir Alfred suspects that Daphne is having an affair with his own young private secretary, Anthony Windborn (Kurt Kreuger). Then, while leading his orchestra in three different pieces, Sir Alfred elaborately daydreams three very different versions or scenarios of how he will solve the problem of his wife's alleged infidelity - each one accompanied by a classical music piece that matches the mood.